I can worry a lot of about Geneva, but one thing I don’t spend a lot of time on is worrying about her future. The reason is because I feel like we have no idea what will be available to her 10 years from now in terms of services, medications, etc., but I do know with certainty that all of it will be better than today. Life for children 10 years ago was very different than it is today. Today is better than yesterday, and tomorrow will be even better than today. Dr. Skotko at Mass General has been devoting much of his time and energy on a clinical drug trial to help improve the working memory of individuals with Down syndrome as well as inhibit Alzheimer’s. The results of Phase 2 of their study are in and results showed that the drug is safe. Parents of the children that participated also reported improvement in their child’s ability to focus and well as an improvement in their vocabulary, although it should be noted that there wasn’t enough data to draw this conclusion with statistical confidence, but it’s a great sign. This is fantastic news and I am thankful for all of those that were a part of this study. Here is Dr. Skotko’s video regarding the study. 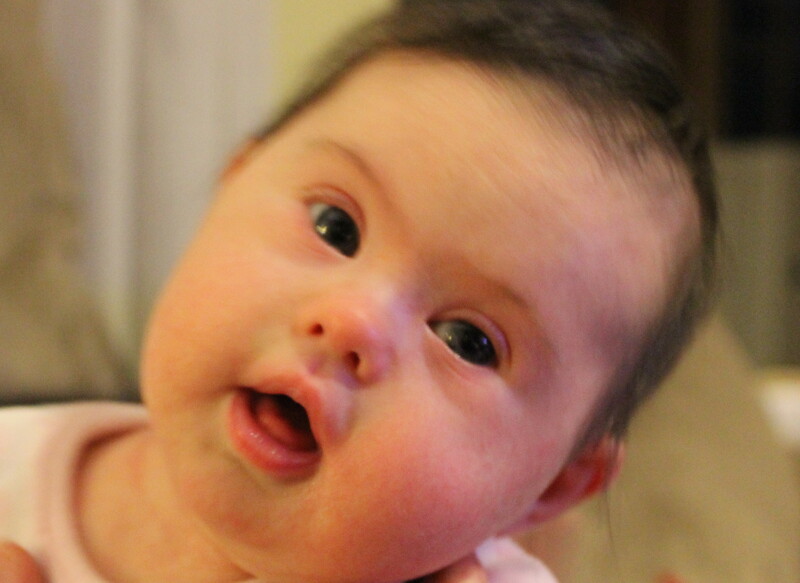 I love the encouraging article on the future of Down syndrome. It is truly a miracle the research that is being done. I’m sure that Gigi will have a charmed life like her two wonderful sisters.